I can’t believe that we hadn’t discovered it earlier. I should have known both my children were water bugs. 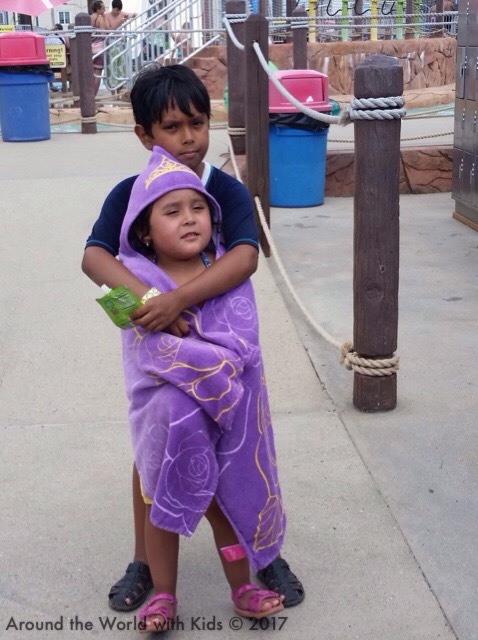 Both had their 5th birthday at a pool/water play area. How did I not realize they were ready for big water parks! 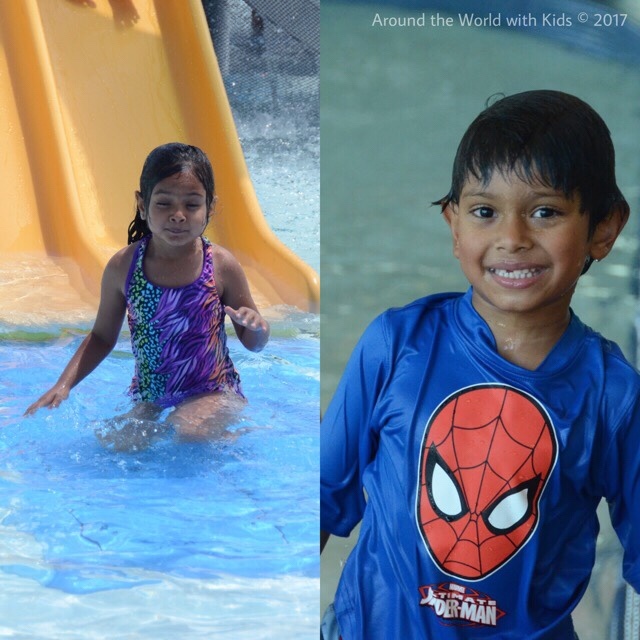 This summer, during our trip to the east coast, we hit up two water parks briefly and discovered the amazing world of waterslides, water parks, and general fun in the sun. 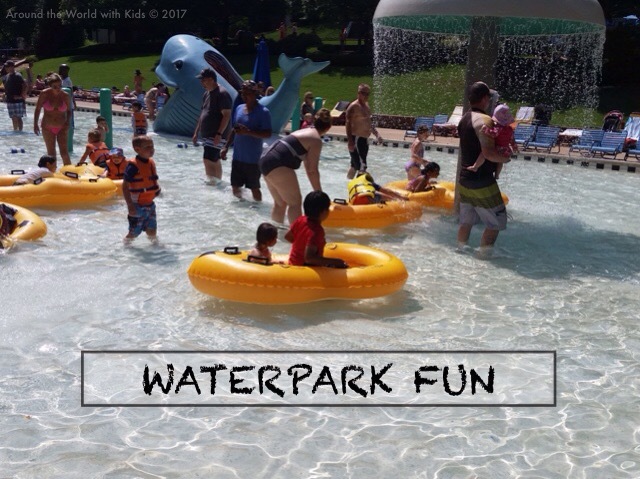 Water Country USA is a water park in Williamsburg, VA owned by SeaWorld Entertainment and close to Busch Gardens Williamsburg. My father had taken me and my sister when we were young, and I remember how much we loved the slides and rides. Since we were in Richmond, near Williamsburg, I wanted to take the kids. My step-sister had a season pass to both Williamsburg parks, so she and her daughters joined us so all the kids could enjoy it together. First stop was a play area that allowed the kids to warm up. 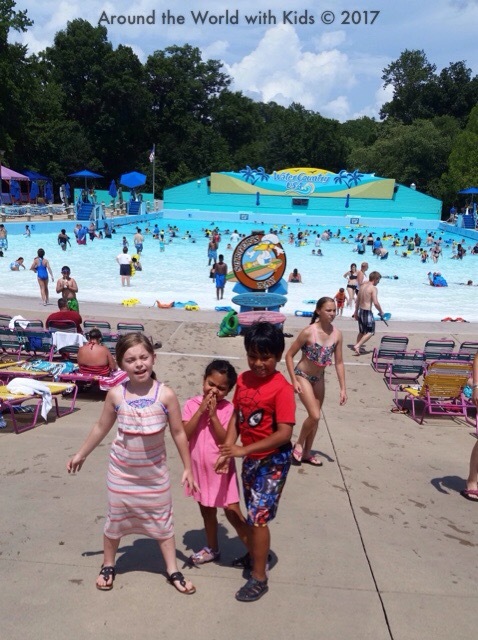 I noticed my kids gravitated to the slides, but they also had a great time with the rafts and mushroom waterfall. The final stop was a real slide, where you went rushing down in a double raft. The kids discovered two things very quickly. Racing down the river was a blast, and the heavier the raft, the faster it went. I was soon tired of being the weight (and scraping up my knees trying to get out of the raft) but the kids didn’t tire for a long, long time. Keansburg is a shore town near Keyport New Jersey, which has a boardwalk and water park. From the turn of the century until the 50s, the town was a popular summer destination for New Yorkers. However, when airline travel became more affordable and Florida became a popular destination, Keansburg declined in popularity. As a child it was known as an inexpensive place to have rides and play, and some place my family and I went often. 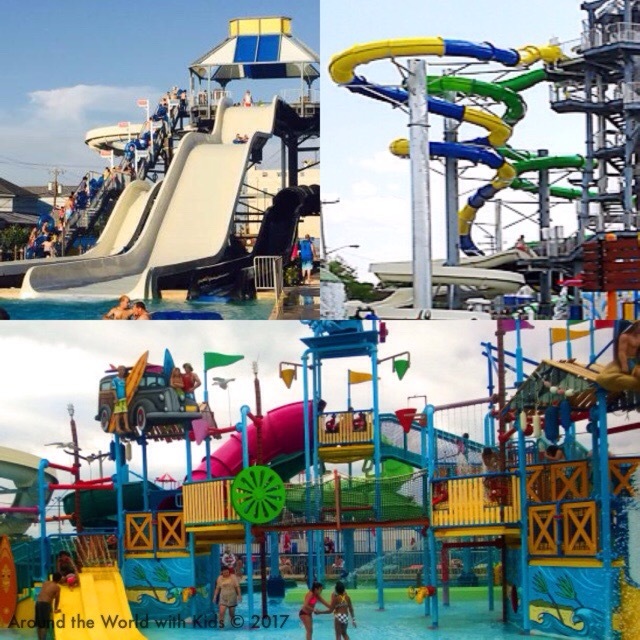 The waterpark has been updated since my childhood, and there was a great collection of slides, rides, and play areas in a small area. My dad wanted to relive this time with his grandchildren, so the kids and I joined him with my step-sister and her family from Mexico. We spent the majority of the time in these three rides. The play area was enormous with a huge dunk tank that soaked you if you got caught under it. 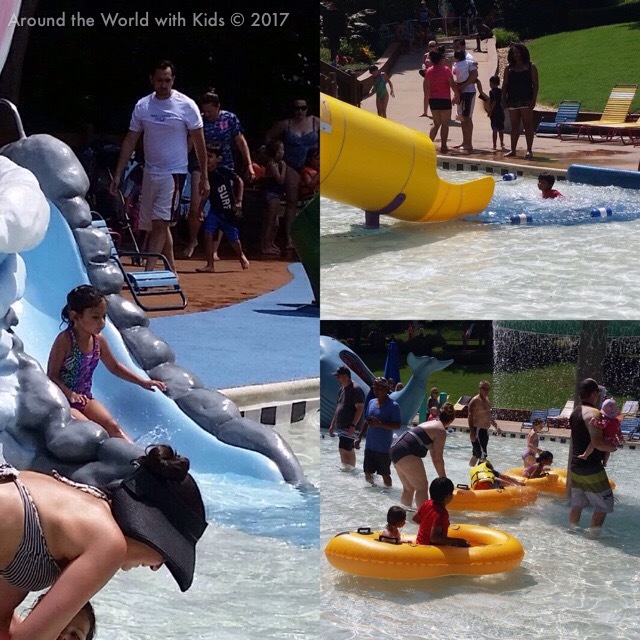 There were multiple slides and I quickly lost my children as they ran around enjoying each and every one. 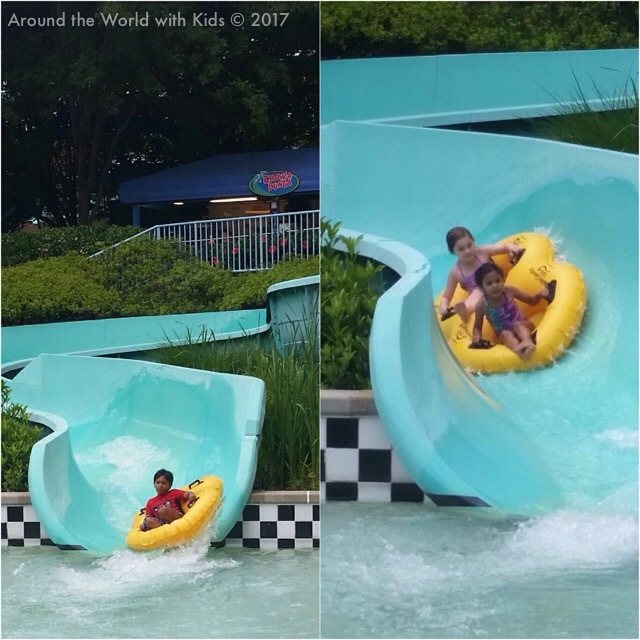 We next went over to the huge slide that I refused to go down, but my kid-at-heart father did, and they went down so fast with my daughter, they flipped over when they hit the water causing my daughter to be upset and quite indignant. We ended the day at the giant slides, where my son had a fantastic time going down the long big ones over and over again. My daughter was few inches too short, so she went down a different slide, on a mat head first over and over again. She was fearless. In the end, I went down the big slide to prove to myself that I wasn’t “too old” to do it. Once was enough, I proved it and I won’t do it again anytime soon. Due to a knee injury I was unable to take the children to Waterworld California as we had initially planned. However, now that I know how much the children love water parks I’m hoping to add that to our list of places to visit next summer.